Poor hygiene is responsible for much of the sickness experienced in the developing world, but there are simple solutions that can bring change. 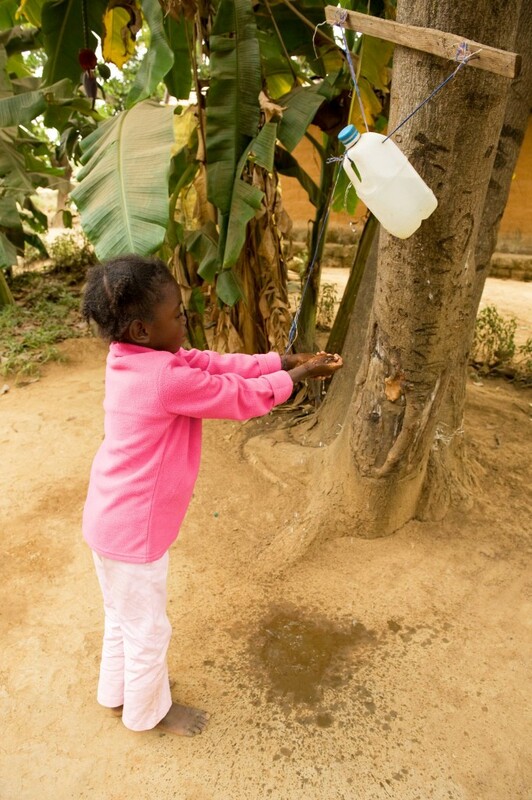 UNICEF estimates that regular hand washing with soap can reduce the incidence of diarrheal disease by 50 percent. The World Health Organization states that by providing clean water to an area, the basic level of health in a community can be raised by 15-20% and by hygiene and sanitation training it can be raised 20-25%. However, when combining clean water with hygiene and sanitation a community’s basic level of health can be increased up to 85%. Seeds of Hope views the hygiene training as a critical part of a holistic community development strategy. To multiply the effectiveness of the clean water you must have a hygiene and sanitation training that effectively teaches people how to change their habits. Often communities that have been ravaged by sickness, war, or poverty and those basic life skills that we take for granted have not been taught or learned. Things like washing your hands cleaning your storage containers, containing your garbage and feces are essential trainings that have to be brought to the community as well or your drilling will only have a fraction of the effect possible. Water + Hygiene + Sanitation have a multiplied effect. We use a participatory method to share the training that allows the participants to experience their training. This leads to a more effective trainings. Using a participant-centered curriculum developed by Lifewater International, we equip people with knowledge about good hygiene practices. Our facilitators use pictures and group collaboration to help people identify, understand, and resolve problems in their communities with local resources. As part of our iWASH program, we conduct hygiene trainings at locations with a new well, hand pump repair sites, and for BioSand Filter recipients. We are beginning to see the health of individuals, communities, and regions improve because there is a local place where people can be trained effectively. By providing a working demonstration center that showcases all the options that are available in WASH and provide hands on trainings for those options. Insure quality and consistency in each area of ours and other organizations projects to see the best results from the efforts put forward. Provide real life research and development of WASH interventions to insure the maximum benefit from projects. Development does not have to be Dead Aid if done correctly. We are bringing simple solutions to help bring health, hope, and transformation to communities in Zambia. This workshop is an introduction to integrated Water, Sanitation and Hygiene. It covers disease transmission, the multi-barrier approach to clean water, safe water storage, and family roles in hygiene. It also includes an action step where community members create plans to implement their new knowledge. This participatory workshop is for community members and covers basic hygiene and sanitation information including: disease transmission, personal hygiene, hand washing, and tippy tap construction. It also discusses types of latrines, where they should be placed, and how to construct them. There are 3 modules and information is tailored to the need of the community. This 2-part workshop targets community members who want to increase their knowledge and the impact they are having in their communities. It teaches them how to conduct household visits and make recommendations on how people can decrease water-borne illnesses in their homes and improve their hygiene and sanitation practices. This workshop helps encourage participants to define all the items needed to make a healthy home. It encourages them to do all that it takes in order to get there. Although there would be standard items for every community it encourages the CHP’s to tackle the issues that might be specific issues for their communities. This is a 3 day course. For more information on any course, contact info@sohip.org. SoHIP offers several iWASH and Training & Education Workshops.